Altex Yacht & Boat Paint Polyurethane Undercoat is a high performance, sandable undercoat which exhibits a number of significant advantages over existing PUR undercoats. 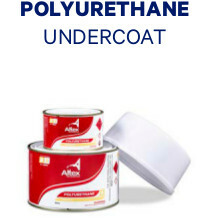 By combining new technology polyurethane binders, Altex Polyurethane Undercoat features excellent build characteristics & superior water resistance, coupled with low temperature cure & extended pot life. The sanding qualities are second to none. 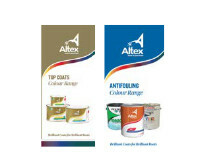 We have a huge range of colours available for you to choose from in both our Topcoats and Antifouling product ranges.